Engineering Science and Mechanics, Mathematics, Civil Engineering, and Aerospace Engineering. 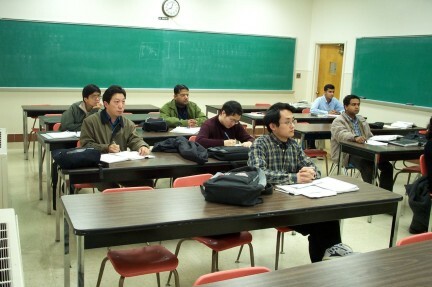 prepare and give a lecture over a portion of the course material. 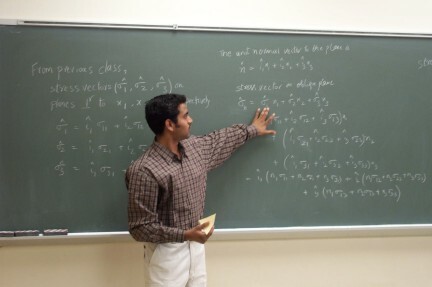 Kumar Chodimella discusses the traction vector relations (above). 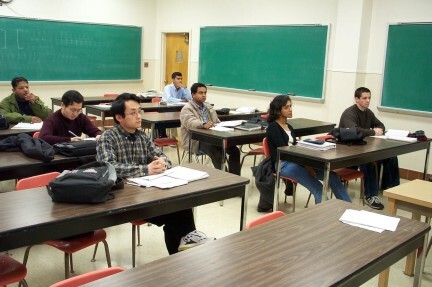 The AEM 637 class listens intently (above and below).